We have tried to bring you occasional updates as we come across a fresh set of credit score myths. In that vein, here are more that need to be corrected. Checking your credit report/score will lower your overall score. That could not be further from the truth. As a matter of fact, it is recommended that you check your credit report at least once per year to check for incorrect information. A check on your score by a financial institution will lower your score temporarily, but not if you check yourself. The older you are, the better your credit score. This one has some basis in fact. 15% of your FICO score is based on the length of your credit history. Actual age has nothing to do with it. The secret is to get credit early in life and manage it responsibly from the beginning. There are many twenty-somethings that have better credit than people in their sixties that have been irresponsible. Your employment history factors into your credit score. This is complete hogwash. Granted, having a job is a variable considered by a financial institution before granting a loan, but it is not reflected on your credit score. Be sure to check back for more myth busting posts. 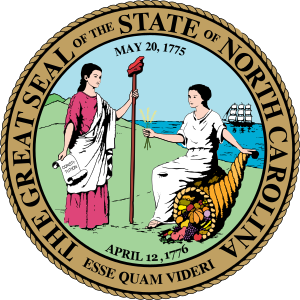 As we scour the internet for false information, we will update our North Carolina debt consolidation blog.